For ultimate performance on every journey, look no further than NS-20 tyres from Nankang. These options provide with exceptional levels of grip, stability and responsiveness that gives you the best chance to enjoy your driving without losing any comfort or safety.The confidence these reliable Nanking tyres provide proves how safe they are, especially with increased water drainage to minimise the risk of aquaplaning. 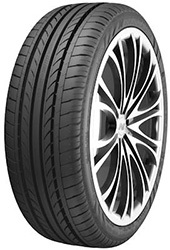 NS-20 tyres give you everything you could want and much more, so act quickly!